The Water Quality Technician program has been suspended for the September 2019 semester. It will re-open in September 2020. Applicants interested in a similar field that want to start school in September 2019 should highly consider the Environmental Technology program. Water is a life source that millions of species depend on for survival. As a water quality technician, you will work towards keeping water safe for consumption and for its return to the environment through proven treatment methods. Distribution and collection methods will also be examined. As part of this program, you will complete the Ontario Ministry of the Environment and Climate Change’s (MOECC) entry-level Drinking Water course and may also challenge the four MOECC operator-in-training exams (water treatment, wastewater treatment, water distribution and wastewater collection) for an additional fee. This program also offers you the opportunity to add to your skills and knowledge with real-life work experience gained through either a field placement or a co-operative education (co-op) experience. Public health depends on the superior management of water quality and a team of professionals is required to ensure safe water for residents of Ontario. The Water Quality Technician program is designed to provide you with the knowledge and practical skills to work in water and wastewater treatment, water distribution, wastewater collection and environmental monitoring. You will receive the specific education required to develop the skills needed to meet the demands of municipalities with water and wastewater treatment systems, water-use industries and environmental monitoring agencies. Classes will be delivered at both the Oshawa and Whitby campuses, depending on the semester and year. This enables students to utilize various applicable lab resources. Students will be notified in advance when they register for classes. Please note: You will be required to purchase green tag safety boots in order to participate in many laboratory settings. A co-operative education (co-op) option is available to students in this program. Students who qualify for co-op will complete a four-month, paid work term between the second and third semesters of their program. Entrance into the co-op option is competitive and requires students to complete an application process for consideration. 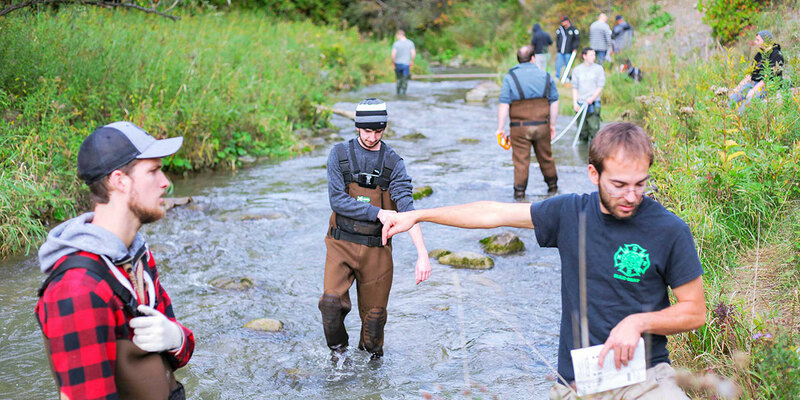 Students completing a field placement will participate in an unpaid work experience that will allow you to utilize your applied training and further develop hands-on competencies critical to developing public trust in water quality. Students in the Water Quality Technician Diploma program will be invited to apply to the co-op option during their first academic semester. Entrance to the co-op option is limited and the processes for securing a work term are competitive. Students who qualify for co-op will be eligible to complete a four-month, paid work term between the second and third semesters of their program. The co-op work term will provide students with work experience in water and wastewater treatment, water distribution, wastewater collection and environmental monitoring. The co-op work term expands students’ learning environment to real work settings where they will be challenged to apply their academic knowledge and then return to campus with a deepened understanding of industry demands and required skills. Once transferred to the co-op option of a program, students will have a co-op administrative fee of $475 assessed to their accounts. The administrative fee goes to support the broad array of support services provided to co-op students. These services are dedicated to support student success.